SKU: 50-420. Categories: Dock Accessories and Hardware, Ladders. 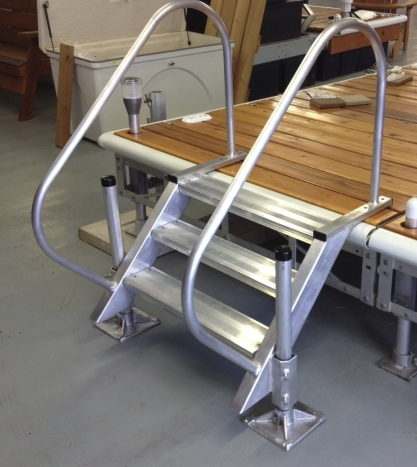 easily enter the water from your dock using these sturdy aluminum stairs. A great upgrade from a traditional ladder. Perfect for swimmers who don’t have the upper body strength needed to use a standard ladder. Adjustable legs allow this 6 step staircase to adapt to heights ranging from 3-1/2′ – 4-1/2′. Other models available from 3-8 steps to accommodate additional heights. 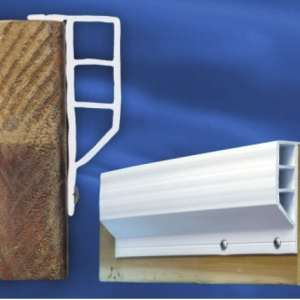 Our staircases are Canadian Made at our Muskoka, ON Location and come with a 2 Year Limited Warranty.